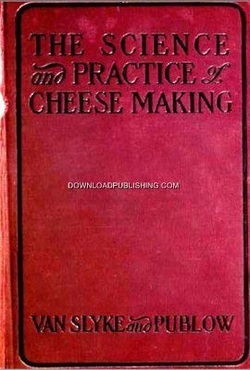 Lucius L. Van Slyke, Ph.D.
the science as well as the practice of cheese-making. together, does the practice become more nearly perfect. gradually developed by experience and observation. product until it is ready to be used as food. The Manufacture of American Cheddar Cheese. Remedies and Means of Prevention. and Other Relations of Milk and Cheese.